With proper care, your Nanbuhouki will last for 20 – 30 years. ①　Use both sides. Otherwise, the brush is going to bend towards one side. ②　Do not press hard against the floor. Sweep softly. ③　Do not strike things with the broom. 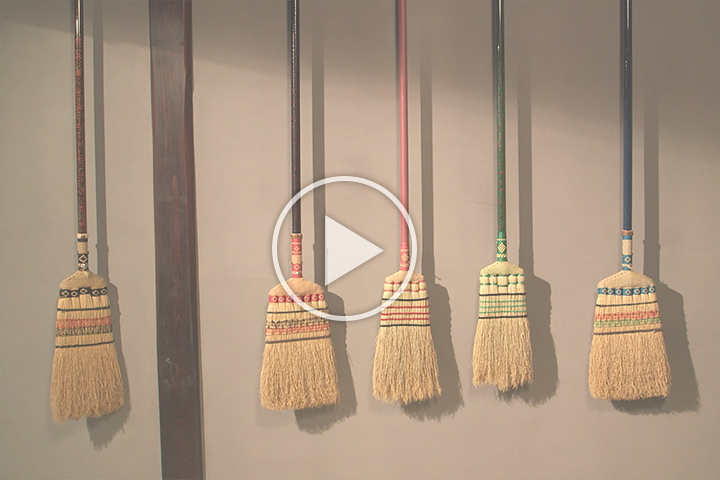 ④　Hanging your broom is the best way to store it. Sweep lightly on clothes in the same way as you use would use a folding fan. ①　Sweep lightly on clothes in the same way as you would use a folding fan. ②　Hold the broom vertically over the piece of clothing. ③　Flick your wrist softly. 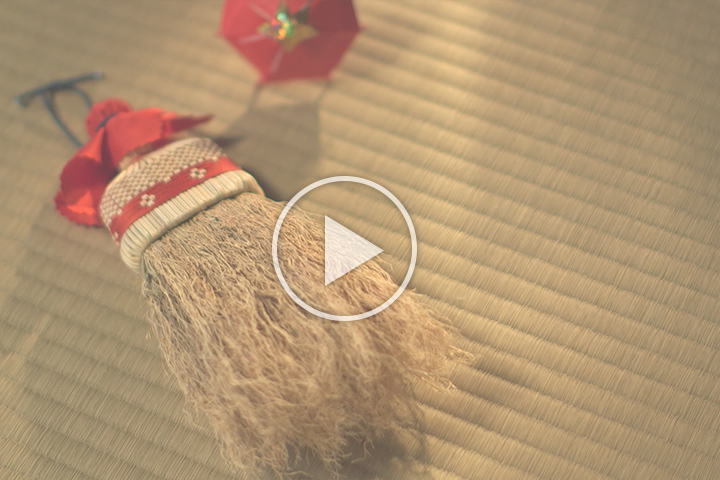 ④　Remove wool or hair from the tips of the broom by hand. Proper maintenance is important for long-lasting usage. 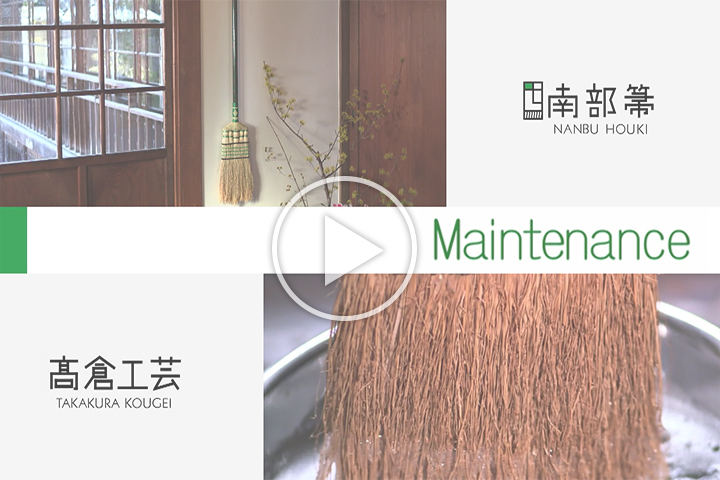 ・Rinse the broom with lukewarm water mixed with a mild detergent. ・Soak the broom in salt water (ideally a salinity concentration similar to sea water) for half a day, and then dry it in a cool, shaded and well-ventilated area.